NEWSY NOTES: Federer didn’t retire, Serena didn’t disclose that she’s pregnant again. Naomi Osaka didn’t reveal she was married. But of late, there has been a whole lot going on. Within 48 hours, former US No. 1 Mardy Fish was named to be America’s new Davis Cup Captain and Andy Murray, 31, tearfully informed us that sometime between now and Wimbledon he’s going to retire, due to the lingering pain in his right hip. And then Gordon Smith announced that he is retiring as the USTA’s Executive Director, after an impactful 12-year stretch in which stadiums rose, grounds were expanded, rules were changed, a national campus was built, and many a crisis was navigated. On top of that, there are indications of a movement to possibly oust ATP Executive Director Chris Kermode because, inside ATP political circles, players feel he tends to favor the desires of tournament owners more than he backs the interests of the players. In the first days of January before the Aussie Open, tennis can be kind of sleepy, a kind of quiet before the storm – but not this year. And, by the way, did we mention that the two most famous players in tennis, Roger and Serena, faced off in a Hopman Cup mixed doubles match in Perth, where the Swiss and his partner Belinda Bencic prevailed over Serena and Frances Tiafoe? GO FIGURE: Djokovic and Federer have prevailed in 12 of the last 14 Aussie Opens. Nadal has won one, but he always seems to have issues. NO KIDDING: Federer, who like many others was stunned by Andy Murray’s farewell announcement, said that he wanted his own retirement to be a celebration. He added that Andy had a fabulous career and the Scot wasn’t unlucky to have played in the era of himself, Nadal and Djokovic. QUARTER OF DEATH: Serena, Halep, Venus Williams, Garbiñe Muguruza and Karolina Pliskova are all bundled into a stacked “quarter of death” at the Australian Open. Serena is seeded No. 16 and first plays German Tatjana Maria and then could face Genie Bouchard and get Simona Halep in the third round. Halep opens with Kaia Kanepi, who stunned her in the first round at the U.S. Open. The Estonian isn’t going to oust the No. 1 player in the world in back-to-back Slams – right? Halep could have to play Venus and Serena in the third and fourth rounds. The Williams sisters could meet in the fourth round. A PRINCE WITH A PROBLEM: He’s a prince awaiting his coronation. German Alexander Zverev is the hottest young prospect in the tennis. He won the ATP Championship in November, but the best he’s ever done in a Slam was reaching last year’s French Open quarterfinals. Now, in Melbourne, he’ll face a certain weight of expectation. To get to the final he might have to beat Stan Wawrinka, Dominic Thiem and Novak Djokovic. Novak has the easiest draw of the top four. He could face a hit-and-miss Denis Shapovalov, another Next-Gen hopeful in Medvedev, and, if all goes well, Kei Nishikori in the quarters. Andy Murray, who is now ranked No. 240, has a tough first round challenge. 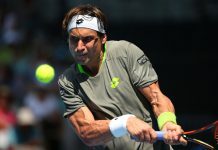 He’ll face Spaniard Roberto Bautista Agut. SABALENKA WILL WIN THE AUSSIE OPEN? : Serena Williams is the most renowned younger sister in sports. Yet, tennis has a fabulous litany of younger brothers. We’re not only talking about Mike Bryan, who is minutes younger than his brother Bob. Icon Andy Murray, who is going to retire, is Jamie’s younger bro. Alexander Zverev has been guided by his older sibling Mischa. There were many other younger brothers who excelled, including James Blake, Murphy Jensen and Wayne Black, just to name a few more. But our favorite younger brother is Patrick McEnroe. 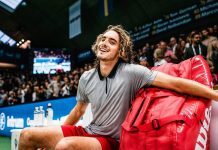 The former Aussie Open semi finalist was captured in priceless photos having to endure the antics of his older brother, a darn good player who made the phrase “You Can’t Be Serious” famous. Patrick deserves a medal for being John’s more-than-loyal bro. And let’s not get caught up in another detail – that when the 1998 French Open was just getting going, he told his brother on air that he predicted that Amelie Mauresmo would win the tourney. John lowered his voice and informed his bro that his pick had already lost on a back court. Last, year Sabalenka’s loud play caused a stir when she suffered a loud defeat in the first round of the Aussie Open. Later she would apologize for all her noise and confided, “Sometimes I scream like a crazy [person. ]” And we will scream with crazy amazement if it turns out that the twenty-year-old players win back-to-back Slams and, like Osaka in New York, Sabalenka wins the big prize in Melbourne. 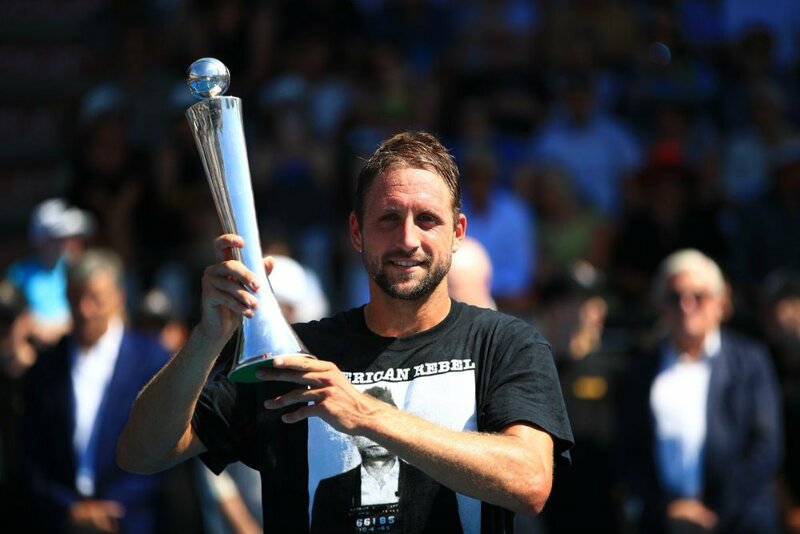 TENNYS TRIUMPHS IN AUCKLAND: American Tennys Sandgren won his first ATP title in Auckland and Floridian Sonia Kenin captured her first tour level title in Hobart. At the Sydney warm-up tourneys, veteran Petra Kvitova and teen Alex De Minaur prevailed.